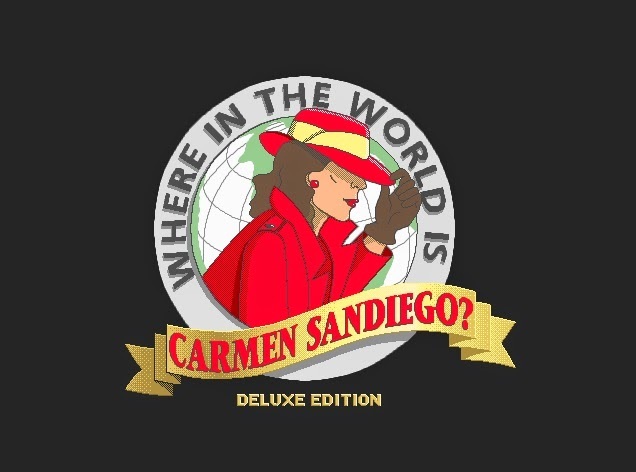 Last week I talked about one of the co-designers behind the legendary edutainment game Where in the World is Carmen Sandiego?. His name is Lauren Elliott. As promised, I'm now going to talk about another of its co-designers, Gene Portwood. Portwood skipped going to college in 1950 and got his first job as an animator at Disney helping to draw scenes in Lady and the Tramp and Sleeping Beauty. He eventually left animation to take on some steady work in order to support his family. For the next couple of decades he worked at such places as Security National Bank, Honeywell and UC Berkeley. It wasn't until 1980 that he would finally break into computer game development. Portwood befriended the founders at Brøderbund and started working with them in the early 80s. It was also around this time that he met Lauren Elliott and these two would end up working on many games together. Portwood is credited for providing game artwork on 1984's Questron and also additional animations for Jordan Mechner's 1984 hit Karateka. It wasn't until 1985 though that Portwood and Elliott would release arguably their most famous title: Where in the World is Carmen Sandiego? Thanks to its success, Portwood and Elliott would develop many more titles in the Carmen Sandiego series in the 80s and 90s. In fact, Portwood and Elliott's list of Brøderbund titles look almost identical, save for Portwood being involved on 1993's Peter Pan: A Story Painting Adventure. Their common endeavours was probably a good reason why they started their own business together in 1996 called Elliott Portwood Productions. Their company ended up developing titles for The Learning Company, Maxis, Virgin Software and The Software Toolworks. Unfortunately, Portwood suffered a stroke in 1999 and while recovering from it in hospital he died of a heart attack 18 months later on 17 June 2000. Portwood was survived by his wife and five daughters. While I couldn't find any information about his daughters it would be good to know if one of them decided to follow in their father's footsteps. Imagine if one of them became a game developer or animator? As for Gene, it's sad to hear that he passed away and over a decade ago too - who knows what he could've accomplished if he was still alive today? Nevertheless, Where in the World is Carmen Sandiego? still remains one of the defining moments in the edutainment genre and we will forever be grateful to Gene Portwood and his contributions. Brøderbund Carmen Sandiego Gene Portwood Lauren Elliott retro Where are they now? Oh wow. Thank you for posting Kelley. :) It was really no problem - he was definitely one of the pioneers in game development (especially edutainment) and deserves to be remembered.